Let terrible Tuesday be gone with our pizza Tuesday deal! 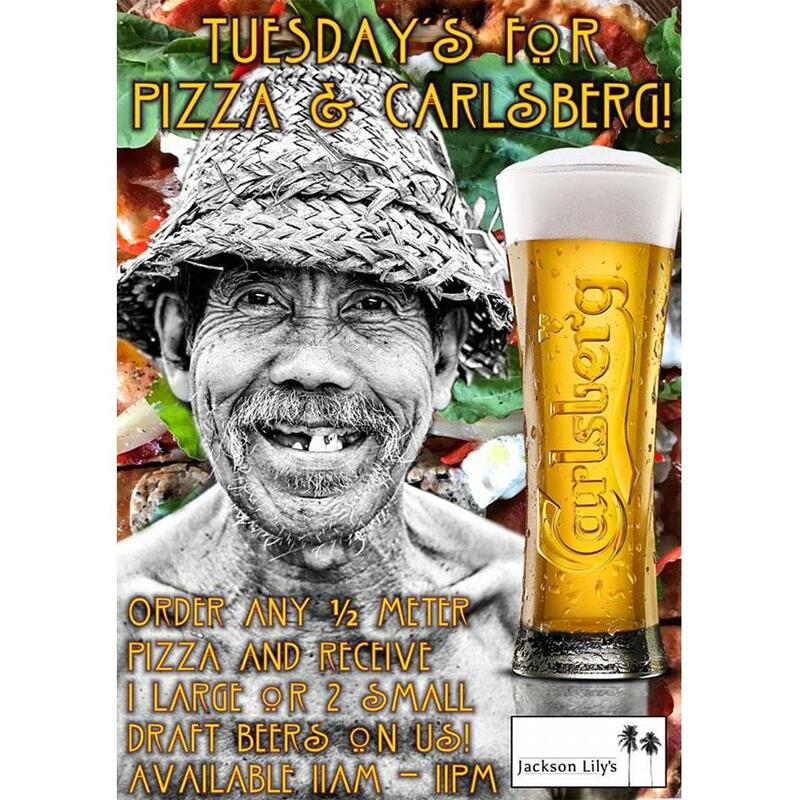 Order any 1/2 meter of pizza and get 1 large or 2 small Carlsberg draught beers. Make every Tuesday a pizza day!